This is a Standalone Receiver. It DOES NOT include a vehicle kit or any other components. XM onyX Radio. 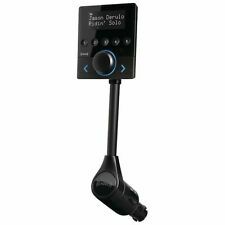 SiriusXM SXV300V1 Connect Vehicle Tuner Sirius XM Satellite Radio SXV300. Condition is Used. Shipped with USPS First Class Package. This listing is just for the item shown in the pictures, no other accessories are included. New ListingSirius XMP3i Satellite Radio Receiver and Accessories Lot NICE! Sirius XMP3i Satellite Radio Receiver and Accessories Lot NICE!. Condition is Used. Shipped with USPS Priority Mail. Includes what you see in the pictures. Thanks for looking! I have many different models but they all serve the purpose that you need them for BASIC SIRIUS,car antennas i have all MIXED types all working used ! price is for 1, ask for other accesories i have most! 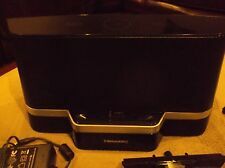 Pioneer AirWave XM2Go For XM Car & Home Portable Satellite Radio Receiver. Condition is Used. Shipped with USPS Priority Mail. Here is a complete setup for working boom box or car. There are 2 remotes one needs battery. 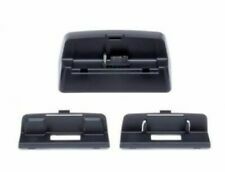 Couple different car mounts for receiver and SXV200 car tuner. Boom box works with power cord or c battery's (not included). DELPHI SA10221 Premium Sound System. with Audiovox XM Radio Receiver XMCK20. With an optional adapter, you can also dock your Pioneer Inno or Samsung Helix. • The item is in pre-owned working condition. It has a very easy installation. Basically plug the dock into a receiver or speaker system and you will be up and running. The SXDH3 provides with and easy garb and go option for your XM radio. It’s that simple! Product SKU: 91789 ID: sxv300v1. 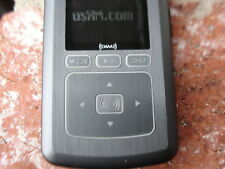 SiriusXM SXV300v1. The SXV300v1 SiriusXM Connect 2.0 Vehicle Tuner works with in-dash receivers that have a "SiriusXM ready" logo. this adapter is not compatible with receivers that have "SAT Radio Ready", "Sirius Ready DC", or "XM Ready" logos. This is a working Sirius XM internet radio. Good Condition ( Tuning Knob Replaced ). Sound is Stereo. Putting SiriusXM into a vehicle has never been easier. With these easy set-up Onyx bundles, all you need is a power socket and a place to set the heavy-duty, weighted adhesion mount. These bundles were custom built specifically for portability in rental vehicles. Condition is Used. 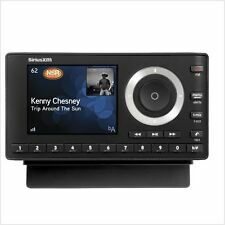 Enjoy your favorite radio programs on this SiriusXM Onyx receiver. This SiriusXM Onyx receiver provides access to traffic and weather reports. TuneMix feature. Easy-to-read, high-resolution display shows artist, song, program title, content or channel information. In good working condition. Subscription is required. SCC1 SIRIUS CONNECT NEW-ANTENNA SATELLITE RADIO VEHICLE CAR BOAT TUNER SC-C1 XM. Condition is Used. Shipped with USPS Priority Mail Flat Rate Envelope. Good condition, guaranteed to work, no power cable is included, includes unit and dock only, free shipping Sirius XM Satellite Radio Onyx EZ XEZ1 Car Receiver (XS2). Condition is Used. Shipped with USPS First Class Package (2 to 3 business days). Trending at $24.47eBay determines this price through a machine learned model of the product's sale prices within the last 90 days. Sirius Radio Antenna SIR-3.3WNCMOB02 UCA-DOT. Cleaned, Tested And Working. Receive song and artist alerts when your favorite songs and artists play on SiriusXM. -Includes RADIO ONLY – add optional accessories for your vehicle, outdoors and office. View radio comparison chart. ONYX SiriusXM radio & SIRIUS XM Satellite Boom Box Radio. Item is in good working condition. All you need to get started is a subscription to Sirius XM. Includes Radio, Satellite Receiver, Satellite Antenna, Remote Control and Power Cord. Condition: This is in pre-owned working condition, as shown. Receiver ONLY! No antenna, radio or cables included. This is a used unit. OLD-SCHOOL XM ANTENNAS (over 100 sold ). Sirius XM XPMP3H1 Portable Satellite Radio Receiver XMP3I Home Kit Tested . Condition is Used. Shipped with USPS Priority Mail. Tested and working. Head unit & remote ONLY. Condition is Used. DO NOT CALL SIRIUS TO TRANSFER. THEY WILL TURN IT OFF. I have had it for a few years now and no issues with subscription. CANNOT BE TRANSFERRED! Sirius Stratus 7 with Vehicle Kit. Works on the Sirius Network. - Works on the Sirius network. Don't let its intuitive design and easy installation fool you. It may be simple to use but this radio is pure genius. You get everything pictured. Condition is Good, Used. Sirius XM SXABB1. Henderson, Ky 42420. 425 S Green St. Bullets Pawn. Sirius Xm Bundle. (1) Samsung helix (cracked case, screen is fine.). (1) leather helix case. (1) helix car mount. (1) helix desk stand. (1) helix power adaptor. Lot includes. The Sportster 5 also includes a built-in FM transmitter that sends Sirius radio programming to your vehicle's FM tuner, so you don't have to make a direct connection to enjoy the full array of channels. SIRIUS SV3R RECEIVER . Condition is Used. Shipped with USPS First Class Package. 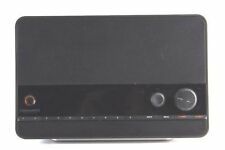 Sirius Sportster SP-TK1 For Sirius Car & Home Satellite Radio Receiver. Condition is Used. Shipped with USPS Priority Mail. DO NOT input this radio ID into sirius' website. I am NOT the original owner, so i do not know any of the account information. DO NOT input this radio ID into sirius' website. DO NOT input this radio ID into sirius' website. Clean and tested. Works great. Will need a car unit install kit. Model: SA10113. Large, illuminated six-line LCD display. Up to 30 channel presets. Built-in alarm clock. Delphi XM MyFi. For car use, you have a choice of mounting options for the vehicle cradle: flush mount, vent mount, or swivel mount. Sirius XM XMp3 XMP3I Hardware (3) Remotes, (1) cradle, (1) Car charger (USED). All items worked when last used. Good condition. No returns or warranty. Sirius XM Satellite Radio Stratus 7 Sirius XM Vehicle Kit Model SSV7V1 Worked fine when we last used it. Not able to test because we no longer have the service. Comes with everything that was originally in the box including tge quick start guide. Comes from a smoke and pet free home. Set yourself free from the restrictions of AM and FM radio with a portable satellite radio receiver. Transportable digital radios come in various designs, sizes, and with diverse features. Whether you need a model for your car, home, or on the go, a digital satellite radio can meet your needs. What features should you look for in receiving units? Adequate display dimensions: Your transportable satellite radio receiver gives you plenty of data about stations, artists, and more. To get more out of your receiving unit, you could choose models that have relatively bigger screens, multiple display lines, and multi-color readouts. Remote controls: If you plan to use your digital satellite radio from a home dock, you will appreciate the convenience of a remote control. FM transmission capabilities: You can use many transportable receivers in your car, truck, or SUV. One easy way to get a clear transmission from your receiving unit to your vehicle’s audio system is to send it over an FM signal. Compact digital radios that transmit FM signals over multiple bands allow you to get things up and running fast. Adequate internal memory: These satellite radios are digital, and they store data just like any computer does. In addition to letting you listen to live content, most models allow you to save your favorite SiriusXM shows or music for later use. Depending on the model, you can save over 50 hours of audio data. You may also want to look for designs that let you save your personal WMA and MP3 files. Dock-and-play tuners are transportable docks that tend to be smaller in size. This makes them transportable, but also requires you to provide docking equipment for use in your home or your vehicle. Docking cradles provide these connections, giving you a single connection point for power, antennas, data, and more. Depending on your needs, you could plan for a receiving unit capable of performing all of these functions. Which satellite radios come with wearable antennas? Some models that are designed for use while you walk, work out, or otherwise operate on foot include body-mountable antennas. In addition to putting these satellite radios on your person, you can also place these on backpacks, hats, or other common vantage points. Wherever you put them, under the right conditions, these tools can give you clear, strong, SiriusXM signals.